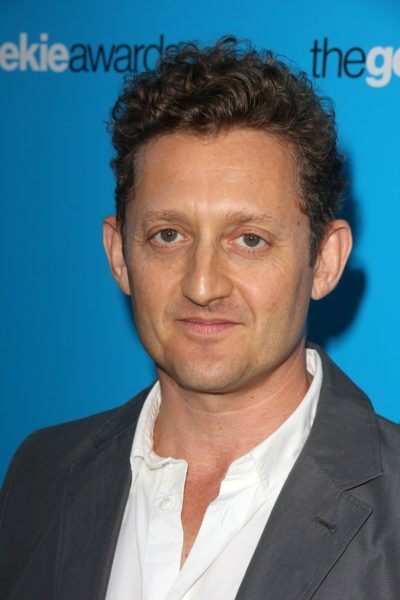 Alex Winter is an English and American actor, director, and screenwriter. He was born in London. His American mother, Gregg Mayer, is Jewish. His Australian father, Ross Albert Winter, had English, German, and Irish ancestry. Alex’s paternal grandfather was Albert “Bert” Rabjohns Winter (the son of Albert Henry Winter and Sophia Mester). Albert Henry Winter was the son of David Winter, who was born in Somerset, England, and of Helen Eliza Pugh Rabjohns. Sophie was the daughter of Orand/Arend Mester, who was born in Germany, and of Elizabeth “Betsy” Jones. Alex’s paternal grandmother was Priscilla Ida Lillas/Lilly Frape (the daughter of Sydney Albert Frape and Catherine Lilian Alberta Kerr). Sydney was the son of John Frape, who was born in Gloucestershire, England, and of Maria Peers. Catherine was the daughter of James Kerr and Catherine McEvoy. On his father’s line it’s just of non-Jewish English origin, going back to Somerset in the 1600s. Where do his Jewish ancestors come from.